RIO DE JANEIRO (AP) — Armed with a .22 caliber pistol, two teenagers stormed into a public school in southeastern Brazil and opened fire Friday, wounding three students, one of them seriously, police said. 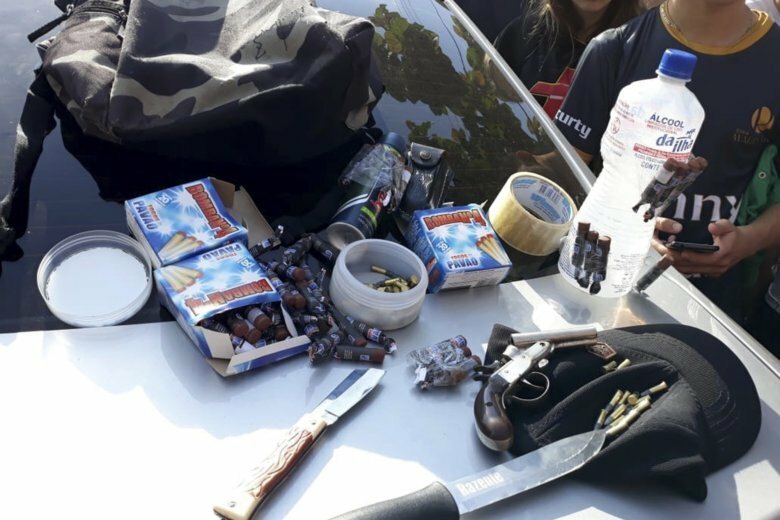 The alleged shooters were detained when police found them hiding in a classroom at the Joao Manoel Mondrone school in the city of Medianeira in Parana state. In a statement, the state’s police department said the two 15-year-olds rushed into the school and shot fellow students at random. The teenagers also carried ammunition and several homemade explosives, it said. One 18-year-old was shot in the back near the spinal cord and was listed in serious condition, police said. Two youths suffered light wounds to their legs and were released after being treated at a local hospital. Police said the shooting was “premeditated by the two teenagers … as a reaction against the bullying they were subjected to by their colleagues.” One of them reportedly told police he was often humiliated and treated with contempt at school. Cellphone video posted on the G1 news outlet showed students running out of the school when the shooting began. Brazil, Latin America’s largest nation, has long struggled to curb violence. The country is notorious for having the highest number of homicides in the world, with a record 63,880 slain last year, though school shootings involving students are relatively rare.